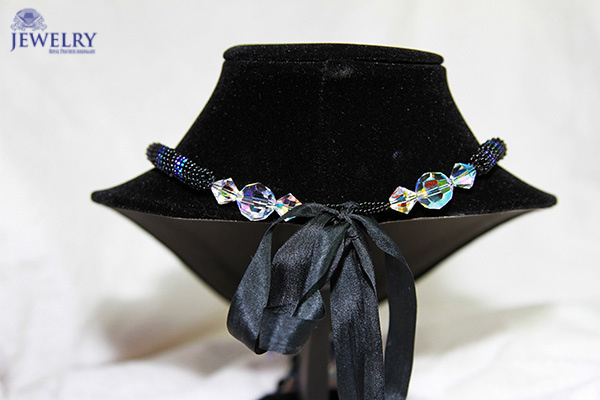 This stunning all handmade choker, will adorn any woman’s or girls neck! 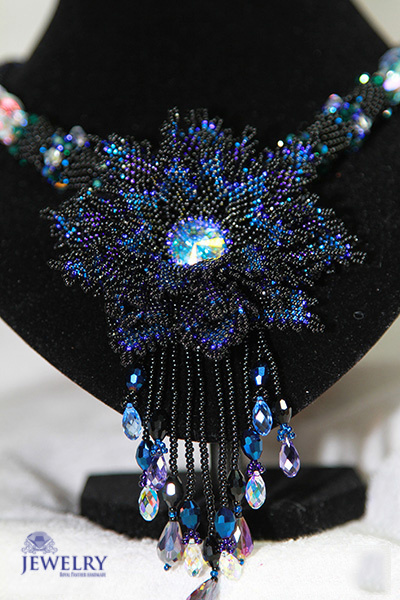 Materials used to make this beautiful necklace are, Toho beads, beads from the Czech Republic, genuine Swarovski stones, a 100% natural silk ribbon which is gently fastened on neck. Length 47cm, flower 9cm*9 cm, flower with droplets are 15cm long. 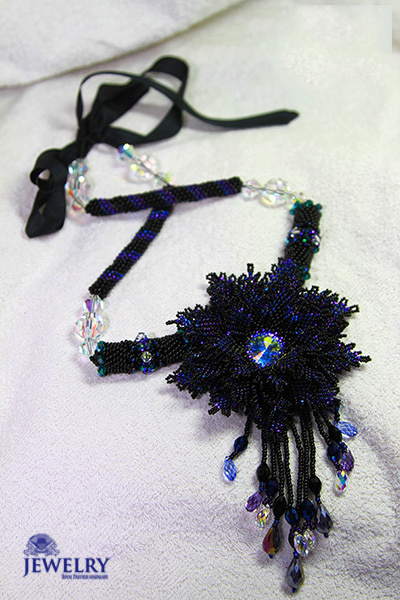 The wearer of the necklace “The Secret” will never go unnoticed. This choker is also available in other colors. 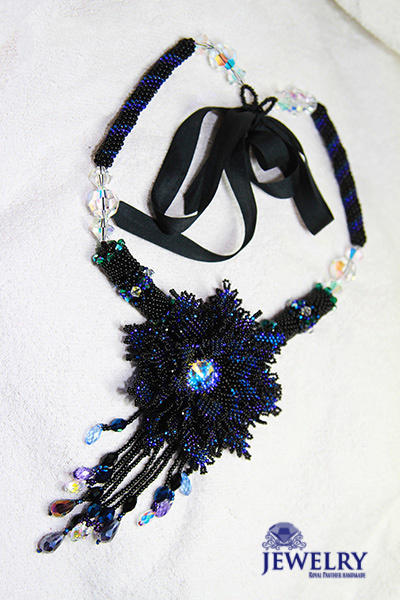 To buy this unique necklace “The Secret” please push the “Add to cart” button NOW!